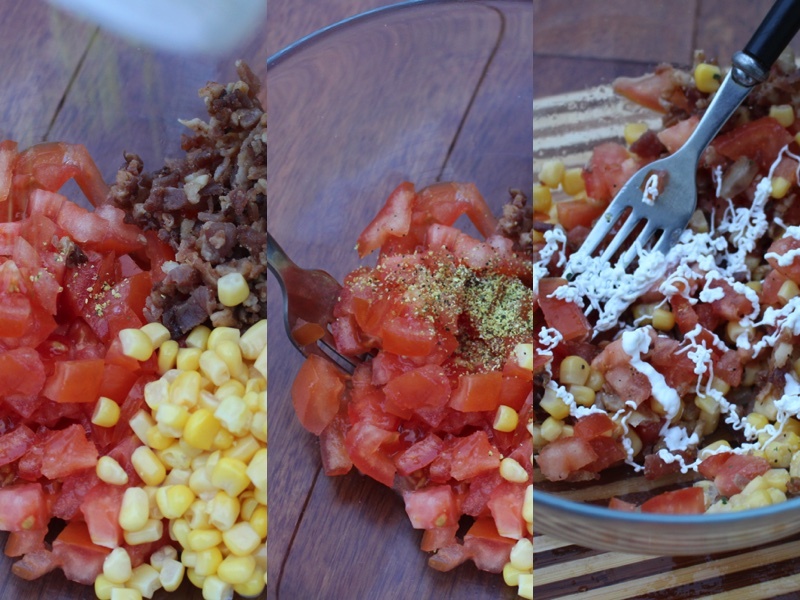 A nutritious salad that surprisingly is very tasty and easy to make i recommend it a lot since it has very healthy ingredients such as cheese, corn, sour cream, tomatoes, pepper and bacon. Ingredients: 1.) Wash and dry all vegetables including salad leaves. 2.) Cut peppers into a halves. 3.) 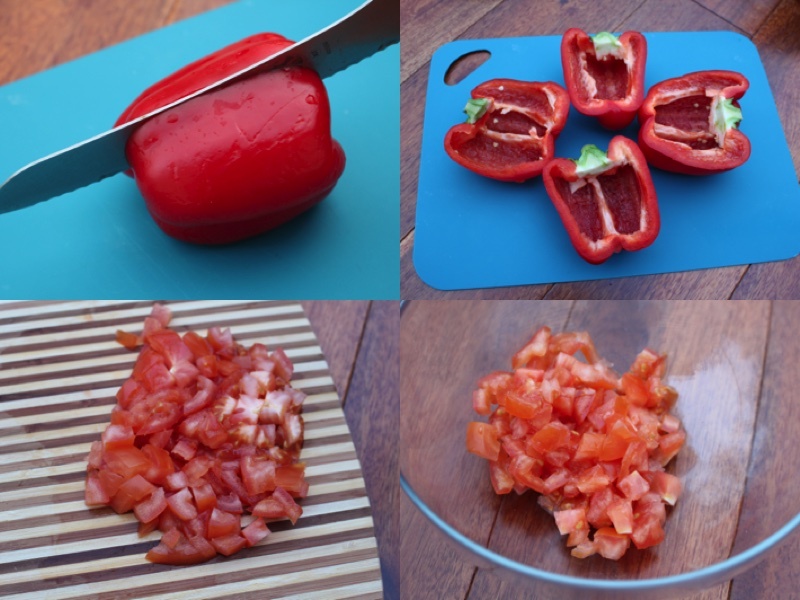 Chop tomatoes and put in a bowl. 4.) Add corn, bacon, Mayonnaise and cheese to the bowl and add garlic salt and lemon pepper. 6.) With a large spoon place 1/4 of the mixture into each pepper. 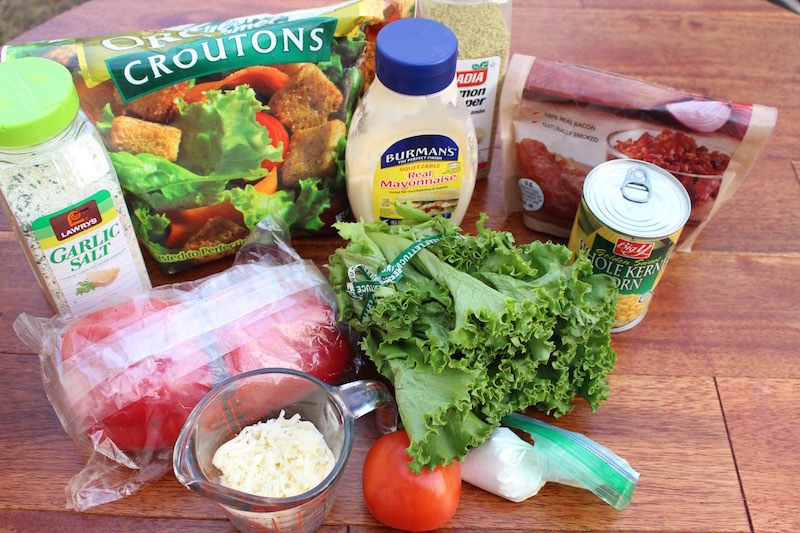 Place croutons in the middle of the dish. 7.) Place on serving dish and decorate if you desire. Enjoy! Wash and dry all vegetables including salad leaves. 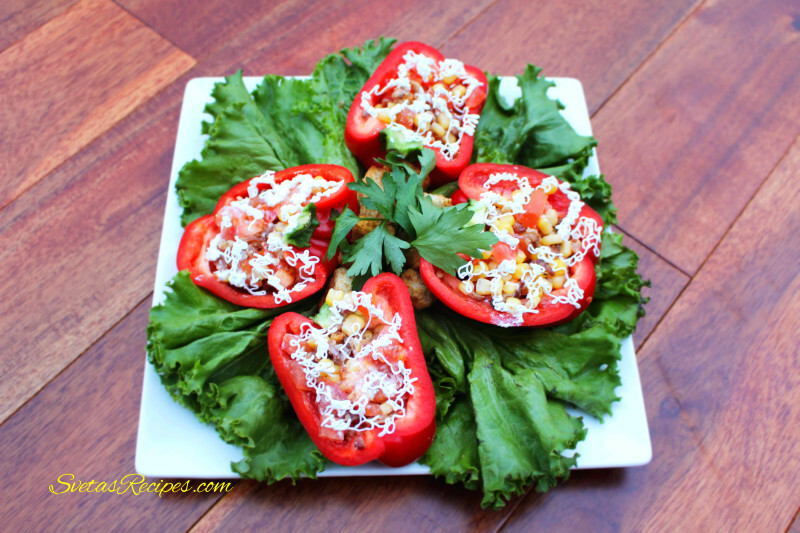 Cut peppers into a halves. Chop tomatoes and put in a bowl. Add corn, bacon, and cheese to the bowl and add garlic salt and lemon pepper. With a large spoon place ¼ of the mixture into each pepper. Place on serving dish and decorate if you desire. Enjoy!